While the average person was getting on with life in Paris before last Friday’s terror bombings and shootings, Twitter threads in Arabic from the Middle East were urging for attacks to be launched upon coalition forces in their home countries. “Advance, advance – forward, forward” they said, regarding Paris. Iraqi forces had warned coalition countries one day before the attack that IS’s leader Abu Bakr al-Baghdadi had called for “[…] bombings or assassinations or hostage taking in the coming days”. In addition, social media message “Telegrams” from The Islamic State Media Center’s Al-Hayat were telling that something more sinister may be afloat, or at least in the works. In late September, 2015, Islamic State made use of the new “Channels” tool, on Telegrams, setting up its very own channel called Nashir, which translates as “distributor” in English. Telegram is an app, launched in 2013, that can be set up on almost any device and allows messages to be sent to users, with a strong focus on privacy. 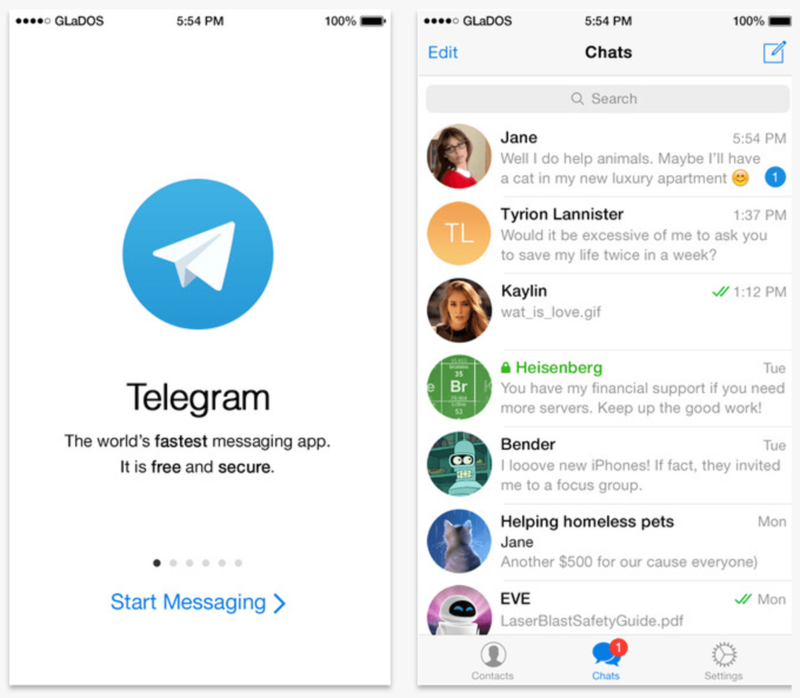 Islamic State utilises the service of Telegram channels because it is more difficult for security agencies to monitor and disrupt than other platforms such as Twitter or Facebook. An important tool that agencies use to tackle violent extremism is that of counter-narratives. The aim here is address and challenge propaganda and misinformation being disseminated by Islamic State to potential recruits or Islamic sympathisers. This is used as a form of disruption to the flow of information and recruitment process. But with Telegrams – since information moves in one direction – it makes it harder to counter jihad propaganda and lies. Telegrams is used by Islamic State to not just post propaganda, but to spread training manuals, advice on how to obtain and import weapons, how to make bombs and how to perform single jihadi attacks on individuals with household equipment. It has posts on launching attacks at soft targets and the activation of lone-wolf style attacks, or give the green light for small terrorists pockets or cells within the community to conduct their onslaught. Inciting acts of violence is a key element of IS’s radical religious ideology. It mandates that its people are following the “true” path of Allah and are helping to bring to pass a great apocalyptic battle between coalition forces and “Rome”, which to them is the will of Allah. Social media is prominent in recruitment strategies used by terrorist groups, in particular, IS. Facebook is a key platform to gather young fans, supporters and recruits to incite them to acts of violence by the means of propaganda and the use of Islamic grievance. When it comes to real-time orchestrating of terror events, Islamic State is adopting encrypted messaging applications – including Kik, Surespot, Wickr and Telegram, as previously mentioned – that are very difficult to compromise or even hack. What is advantageous for Islamic State is that messages being sent have what is termed a “burn time” which means they will be deleted after a certain time and will not show up on a phone or other device. This benefits recruiters as it means they can fly under the radar more readily which makes it more difficult for agencies to detect and prevent attacks. Also, IS is using the PlayStation 4 network to recruit and plan attacks. Belgium’s deputy prime minister and minister of security and home affairs, Jan Jambon, said PlayStation4 was more difficult for authorities to monitor than WhatsApp and other applications. Not long after the attacks in Paris, Islamic State released an audio and written statement claiming the attack as its own from command central. This was systematically and widely broadcast across social media platforms. Contained in this statement were future warnings that “[…] this is just the beginning of attacks […]”. At the same time, a propaganda video entitled “What are you waiting for?” was circulated on Facebook, Twitter and Telegrams. Islamic State continues to use social media as part of its terror campaign. Its aim is to maintain the focus of its recruits and fighters within coalition countries. It also aims to further recruit home-grown jihadists to acts of violence while driving fear into the heartland of European and Western countries. While privacy is something on everyone’s mind, encryption applications have gained much momentum to allow people to communicate without worrying about unwanted third party access. Unfortunately, terrorists have also utilised these features as a means to go undetected in organising real-time operations and preparation for terrorist attacks. Terrorists are ahead of the A-game and we don’t want to be playing continual catch-up. If terrorists are to continue using these applications to arrange acts of terrorism in a covert manner, then security agencies need to be able to balance the collection of information from technological advanced services with that of human intelligence. Dealing with the threat of misuse of encrypted applications by Islamic State and other terror organisations, would mean that law enforcement and agencies would require access to encrypted communications. While one could argue this may compromise data security and that it should also be assessed alongside internet vulnerabilities, this must be balanced against the current climate of security threat both domestically and internationally.